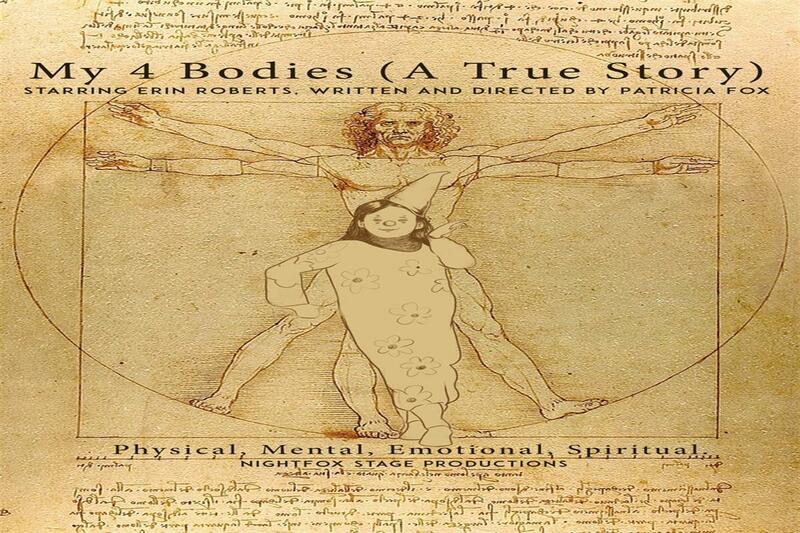 Cherry and Spoon: Minnesota Fringe Festival 2018: "My 4 Bodies"
Summary: A woman with juvenile diabetes, multiple sclerosis, and many dysfunctional family issues tells her story of finding balance in her four bodies. 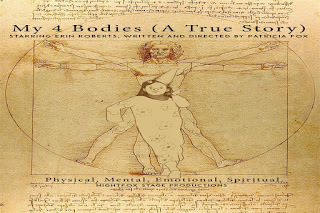 Highlights: The four bodies, as proposed by da Vinci, are physical, emotional, mental, and spiritual. Writer/director Patricia Fox goes through each of the four in a moving and relatable yet very specific story, performed convincingly by Erin Roberts. She talks about her diagnoses, her complicated family history, and a good relationship she ran away from because she felt that she didn't deserve to be loved. She has a funny name for each of her bodies, each given a funny voice so that we recognize them when they chime in on what's happening. The story isn't told linearly, but more stream of consciousness, and even though Erin has the script in hand you believe her. Patricia's story is funny and moving as she journies towards self love with the help of Buddhism, and Erin's performance makes you feel every bit of it. The Fringe was made for solo stories like this, artists with something to share that audiences need to hear.